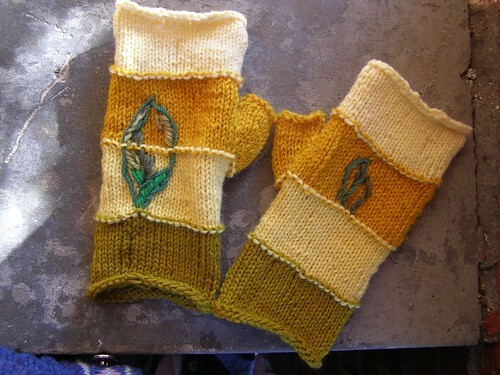 i purposefully made both of these mitts long for warmth. i like this style because if you need more freedom, you just fold the tops back. Yay! 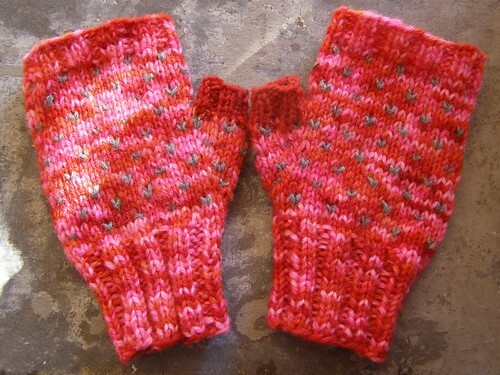 Mitts may be my favorite knitted accessory. 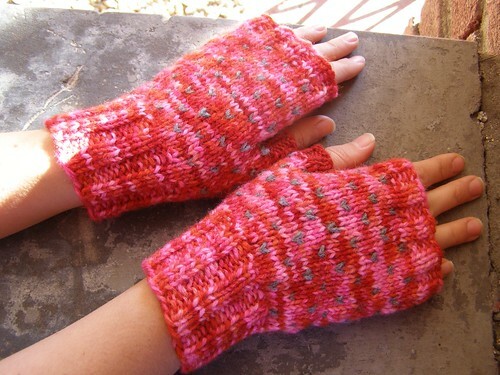 i LOVE the mitts. i love the way you do the little heart patterns. is that duplicate stitching? 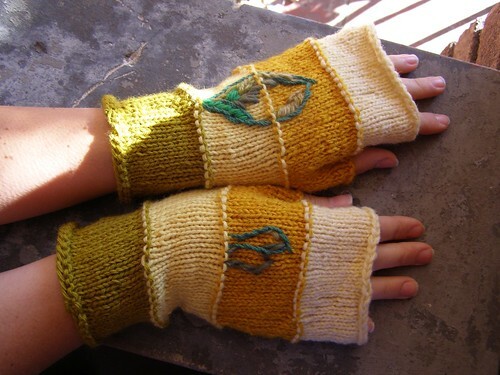 or intarsia? i don’t know anything about colour-knitting at the moment, stripes are as much as i can handle, but i’d love to learn… does your book go into that?